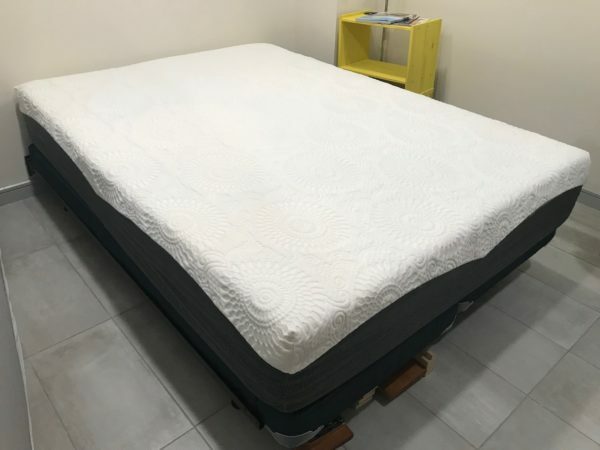 This Rest Refreshed Memory Foam Mattress Review was recently completed by the MattressJunkie.com team. Rest Refreshed ships direct to consumer and each mattress is made to order. Rest Refreshed currently has a memory foam mattress and a hybrid mattress in their lineup. We reviewed a queen sized, memory foam mattress is medium firm. Check out more details on the Rest Refreshed Memory Foam Mattress below. Tell me more about the Rest Refreshed Memory Foam Mattress cover. The Rest Refreshed Memory Foam Mattress uses a gray and white color scheme for their mattress cover. The cover has a nice, firm hug on the mattress and an aesthetic design. The cover is similar to many that we have reviewed. The light, airy cover helps the mattress breathe and provides a layer in between the foam and the sleeper’s body. What’s Under the Rest Refreshed Memory Foam Mattress cover? The Rest Refreshed Memory Foam Mattress is made up of 3 layers of memory foam. The foam is Certi-PUR-US certified so you don’t have to worry about chemicals and other toxins that are used in lower quality foam beds. Rest Refreshed foams are made with a bio-polyol base made from soybeans. Rest Refreshed also uses gel in their memory foam. Gel is important because it helps with temperature control. We prefer gel memory foam mattresses due to their exceptional cooling properties. What Sleep Style Works Best with the Rest Refreshed Memory Foam Mattress? The Rest Refreshed Memory Foam Mattress comes in 2 levels of firmness. The option of medium firm or medium soft is available when ordering. Medium-firm is better for back and stomach sleepers while medium soft is better suited for side and back sleepers. Memory foam has excellent pressure relieving properties and is highly recommended for those with neck and back pain. 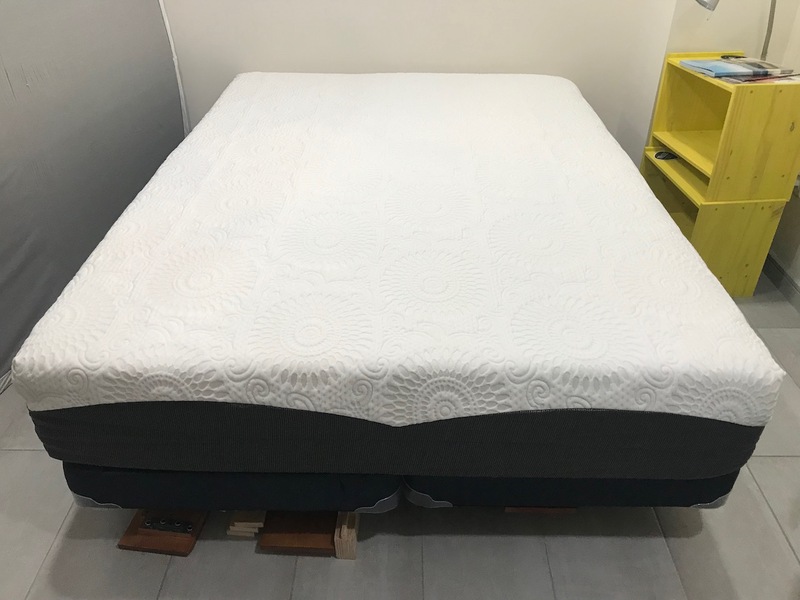 What type of base should I place my Rest Refreshed Memory Foam Mattress on? Rest Refreshed recommends adjustable frames, a slatted base, flat platforms, or the Rest Refreshed Foundation as a base for your mattress. Box springs are NOT recommended for this mattress. Mattresses will sometimes have a slight odor when unrolled from the compressed packaging. This is called ‘off gassing’ and is often described similar to a new car smell. Once you open your mattress, let it breath to fully inflate. This will eliminate the majority of the scent. I usually find the odor to be unnoticeable within 24 hours or so. The Rest Refreshed Memory Foam Mattress did not have a strong odor so off gassing shouldn’t be an issue with this mattress. The Rest Refreshed Memory Foam Mattress has gel infused into the memory foam to help dissipate heat retention. This gel makes a huge difference with memory foam mattresses. 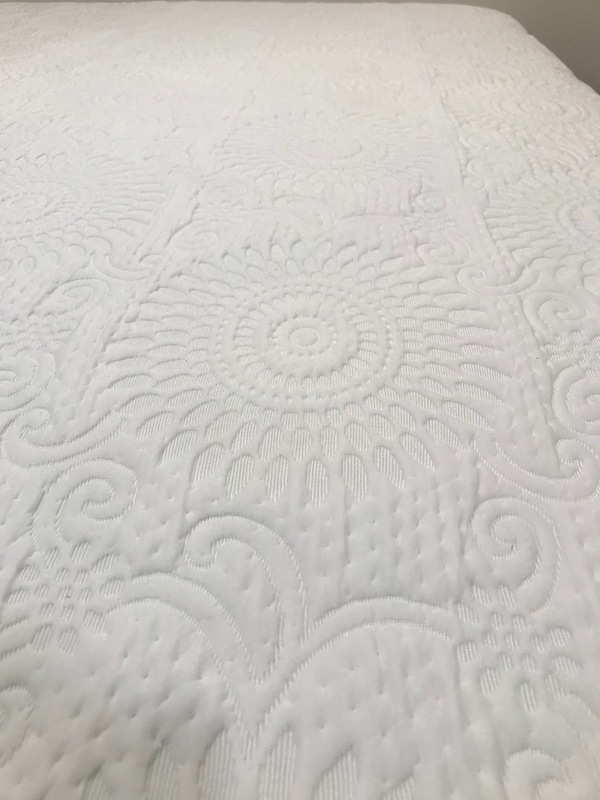 We did not experience any issues with heat retention while reviewing the mattress. 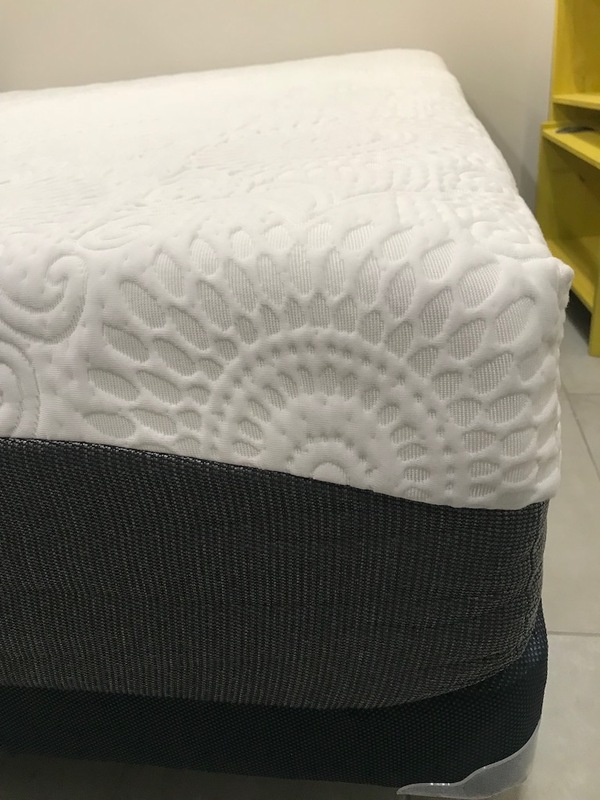 What Type of Warranty and Sleep Trial does Rest Refreshed offer on this mattress? The Rest Refreshed Memory Foam Mattress comes with a 10-year warranty. Rest Refreshed also offers a 100-night sleep trial so you can try the mattress for 100 days and make sure it’s the one for you. How much does the Rest Refreshed Memory Foam Mattress cost? Do we recommend the Rest Refreshed Memory Foam Mattress? The Rest Refreshed Memory Foam Mattress is a solid mattress. Each mattress is made to order and you get the option of medium soft or medium firm. Many mattresses are offering universal comfort so having the choice of firmness is always nice. If you need something more tailored to your sleep style and like the comfort of memory foam, the Rest Refreshed Memory Foam Mattress would be a great option for you. Order the Rest Refreshed Memory Foam Mattress here…..